Dr. Vladimir Gashinsky has been in private practice at his Millburn, NJ office for over twenty years providing exceptional holistic and biological dentistry and surgical expertise in a friendly, home-like environment. Through a series of events Dr. Gashinsky connected with holistic physicians like Dr. S. Sharma and Dr. M.Ali that lead him to the Institute for Systemic Medicine and Dentistry in Berkeley Heights, New Jersey. Dr. Gashinsky earned his doctorate degree from NYU College of Dentistry, after which he became their clinical faculty leader and in a 4-year period trained graduate students to become proficient in dentistry. He has also obtained his certification as a Naturopathic Doctor. 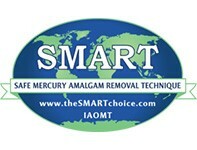 He is an Accredited member of the International Academy of Oral Medicine and Toxicology (IAOMT) and is SMART certified through the IAOMT which shows that he follows stringent protocols for safe amalgam removal. In addition he is the president of the first Holistic Chamber of Commerce in the state of NJ. With extensive training in homeopathy and nutrition, Dr. Gashinsky spends countless hours doing continuing education with like-minded practitioners to keep up with new medical and technical developments in his field which he is bringing to his practice to help his patients achieve the best holistic dental care possible. Dr. Gashinsky has the distinction of having won the Eugene Rothchild Memorial Award from the New York Academy of Oral Rehabilitation. Dr. J. Sawhney graduated from Howard University School of Dentistry in 2001. Soon after that she opened her private practice in Maryland, where she successfully worked for 9 years. In 2010, she sold her practice and moved with her family to Switzerland where she had a perfect opportunity to continue her education, using the latest cutting edge European technologies. Dr. Sawhney returned to the US and joined our team in 2013 and takes pride in not just being able to help improve patient’s oral health, but their overall quality of life with the holistic approach. Dr. J. Sawhney has a warm and welcoming personality that helps patients feel very comfortable and relaxed in her chair. Being a mother of 3 beautiful girls, she helps kids understand dentistry and makes it a joy for them to come back. Dr. Sawhney believes in listening to each and every patient carefully and building a dentist-patient relationship to maintain and improve lifelong health. To ensure that all patients receive the best comprehensive care possible, Dr. Sawhney constantly participates in continuing education courses including the use of Homeopathy and practices it extensively with her patients. She is also a Certified Invisalign Provider. She is an active member of the International Academy of Oral Medicine and Toxicology (IAOMT) and is SMART certified through the IAOMT which ensures that she follows stringent protocols for safe amalgam removal. Dr. Dhaval Vithlani is a graduate of New York University College of Dentistry. After graduation, Dr. Vithlani served the community of Hampden County in Massachusetts and Charles County in Maryland before he finally decided to move to the state New Jersey with his family. His patients often refer to him as Dr. V.
Dr. Vithlani’s passion for dentistry grew as he watched his father’s dedication in improving oral health of the community. Dr. Vithlani takes pride in not just being able to help improve patient’s oral health, but their overall quality of life with the holistic approach. Dr. Vithlani believes in listening to each and every patient carefully and building a dentist-patient relationship to maintain and improve lifelong health. He enjoys all aspects of general dentistry. And to ensure that all patients receive the best comprehensive care possible, Dr. V constantly participates in continuing education courses. He is certified in biological dentistry by American College of Biocompatible health and also trained to remove amalgam fillings under holistic protocol by International Academy of Oral Medicine and Toxicology.